It is Friday night and you are back from work. Finally it is the weekend and you are planning your catch up chores, your time at the gym and just enjoying movies on the couch. Then you notice it a huge lake in the kitchen around the sink and washing machine. It looks like the pipes burst. That much water is going to cause a lot of damage and this kind of scenario needs attention right away. This is when a plumber is really needed to stop that water from coming as soon as possible. Phoning Halifax Plumbing Pro’s emergency plumber is your best option. When do I need to call an emergency plumber near me? Unless you have gone to plumbing school or live with a plumber if you are experiencing a plumbing issue that is out of control and damaging property phoning an emergency plumber is probably in your best interest. These can include any number of issues from overflowing drains, leaking toilets, burst pipes, broken water lines would all be considered a good time to phone an emergency plumber. Our emergency plumbers at Halifax Plumbing Pros can assist you with any one of these issues, using their expertise and experience to fix the problem with ease and speed. What will the best local plumber do? When you phone us with a plumbing emergency we first ask what the problem is and we ask for it in detail.. This is an important first step to help the plumber that is going to fix your problem. When we know what we are going to be working with we can arrive properly prepared to help you out. Our plumber is then sent out to your residence right away. When they arrive they will do everything they can using the tools they brought with them to turn off the water, stop the leak and the flow of water from damaging property, unclog the drain or fix the pipe that is burst. What makes a plumbing emergency and emergency is the urgency of the situation. 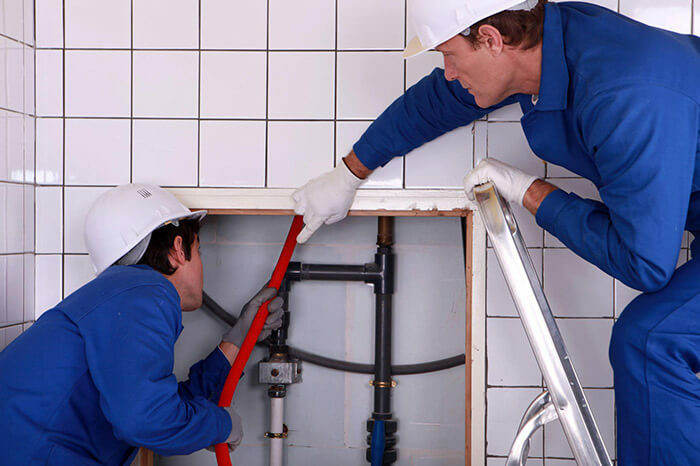 Our emergency plumbers are all just as skilled but our emergency plumbers arrive right away to your assistance. As mentioned above, the factors that make a situation in need of an emergency plumber is dependent on the urgency of the situation. You need running water and you do not want to have running water running free in your residence. These are the main guidelines for when it is time to make that phone call. However, if you have a clogged toilet and a party about to begin that also affects the urgency of the situation and an emergency plumber could very well help save the day. Deciding which situation is an emergency and those that are not, is entirely up to you. When you are in need of an emergency plumber we understand the stress that it creates. Having plumbing issues in your household can make for a very bad day. That is why we take our business very seriously and even more so our emergency plumber service. When we send out our plumber we make sure you are getting the best plumber we have to help you in your time of need. Our crew is certified trained and experienced. They make sure when they arrive that they are doing everything in their skillset to help your home achieve it’s harmony before the plumbing issue disrupted it.